What to do in Akaroa? If you stay in Christchurch for a while, be sure to make a trip to Akaroa. This small picturesque town on the Banks Peninsula is an absolute must during your journey in New Zealand. Besides the stunning bays and harbour, the town has a lot of French and English history to discover. If you’re a nature lover who loves to be in the outdoors for multiple days, then maybe you would like to go on a multi-day hike? Hiking is so popular in New Zealand, they have a new word for it: Tramping. The Summit Walkway is a three-day hike (one way), giving you views of the whole peninsula, the ocean and even if you’re lucky, the Southern Alps. In the area of Akaroa you will find the Hineway reserve, a volcanic reserve with lots of hiking opportunities. The highlight is the Stony Bay Peak, also known as Taraterehu, an 806m high peak offering panoramic views. New Zealand attracts hikers all over the world and the Banks Peninsula is no exception. The Misty Peaks reserve is close to the town centre and is best known for the hike to Newton’s Waterfall, which will take you about 30 minutes. The walk itself is quite easy and a great way to escape from the crowds that might be in the town centre. Akaroa is New Zealand’s first and only French settlement. Everything you will see in the village just breaths out the French culture. From the architecture of village houses to the small shops. 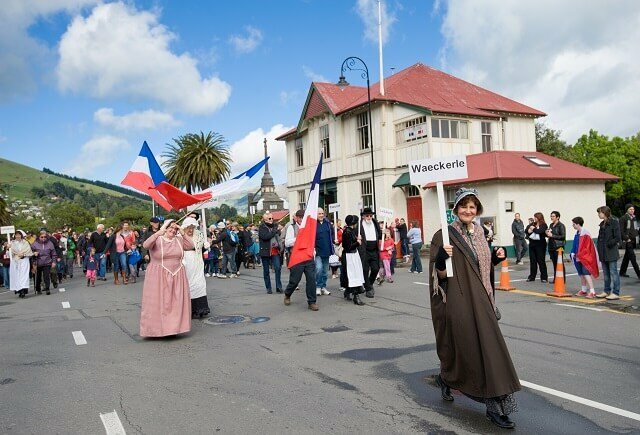 You can discover the French influence by one of the Akaroa Village walks. The French Festival held in October is a celebration that’s not to be missed. During these festivities, locals become a caricature of French culture by serving Fromage (cheese) and Vin (wine) everywhere. Being the most French town in New Zealand, it’s not surprising there are wine tours to be made in the area of Akaroa. Wine is grown on the south side of the city, on the hills overlooking Akaroa. Amongst the wines you will get to taste during the tour you will be able to sip award-winning grapes like Riesling, Pinot Noir, and Pinot Gris. Plenty of chances in Canterbury to cross ‘swimming with dolphins’ off your bucket list. 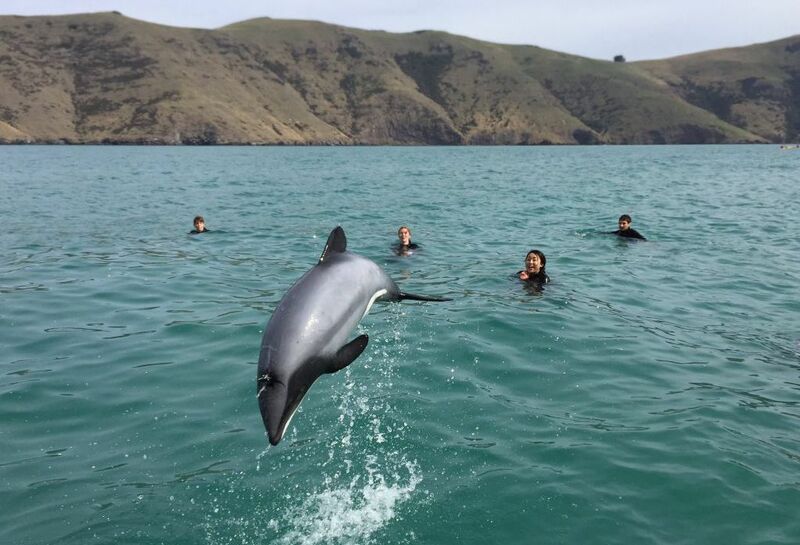 The dolphins you can encounter in the Banks Peninsula are endangered and for that reason one of the rarest in the world. This area will give you a good chance of getting a glimpse and even have a swim with them. The harbour of Akaroa is well hidden in the Peninsula, making it a great place to rent a sea kayak and spot some wildlife. Paddle your way to the bay area and witness some of nature’s most impressive animals including dolphins, native birds, and penguins. Nestled deeply in the harbour of Akaroa, there is a colony of white-flippered penguins. This alone would be a great reason to leave your hotel in Christchurch and make your way to the Banks Peninsula. The best way to see them is by joining a tour. Located at 71 Rue Lavaud, the Akaroa Museum is a must if you would like to discover the history of this French settlement. You will learn about the native Maori people who lived here and about the French settlers who arrived here in 1840. Yes, even Akaroa has its seal colony. 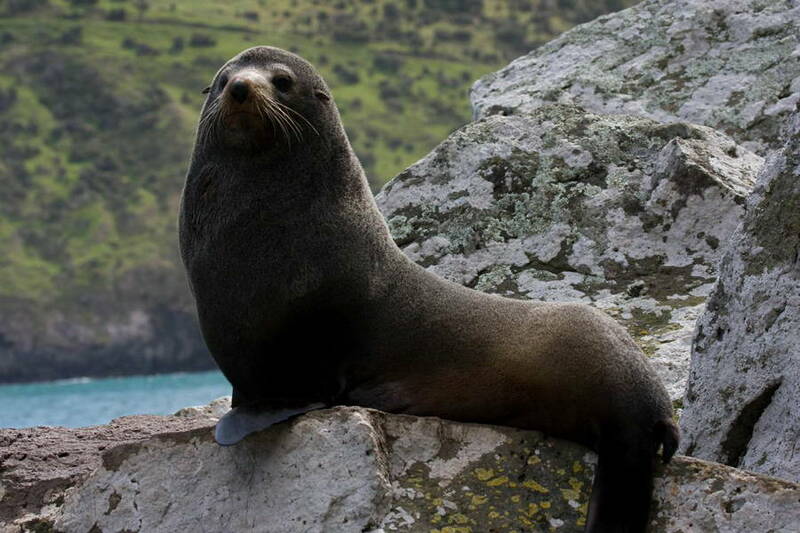 And even if you have hiked to the colony seals in Kaikoura before, these animals are just so interesting we can recommend spending a few hours with them once again. New Zealand is famous for its cheese, a heritage it has received from the French. The thriving cheese industry has its marks in Akaroa as well. A great stop is the Barry Bay’s Cheese Company where you can see the process of making cheese and buy some award-winning grass-fed cheddar afterwards.